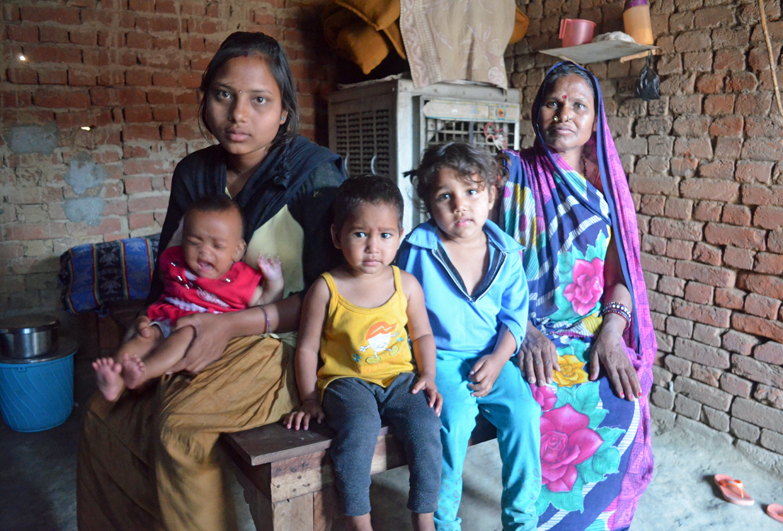 Puspal (left) was a bonded labourer in a brick kiln in India. 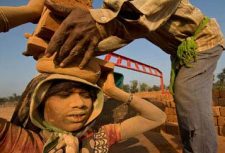 Entire families migrate every year from other states in India to find work in Punjab’s brick kilns. “My husband had been working in kilns for five years and didn’t seem to be earning any money. “In the kiln the work finishes only when it finishes, it is endless. We do not stop even if we are ill because we fear – what if our debt is increasing? So we don’t dare to stop. “We are kept in the dark about how much we are owed. Whenever we asked, the debt was still not paid. “Other families tried to leave, but two got caught. They locked them up and started beating them. They told the workers, ‘if you want to go from here, you must pay 60,000, that is your debt’. Help us in combating slavery to free bonded labourers like Puspal. “Raju found the number for VSJ (Volunteers for Social Justice, Anti-Slavery’s partners in India) and went to ask for help. He was away for fifteen days. I was alone with the children at the brick kiln and the owner got very suspicious. He searched for Raju, demanding to know where he was. “At this time I was pregnant and fell very ill. I called VSJ, feeling desperate, and they sent someone to the kiln to take me to hospital, where I was treated and also had the baby. “After I had the child, we all came to the project’s temporary rehabilitation centre, and Raju now works for VSJ.